Our company offers wheelchair vans, lifts, handicap driving aids, hand controls, equipment and accessories. 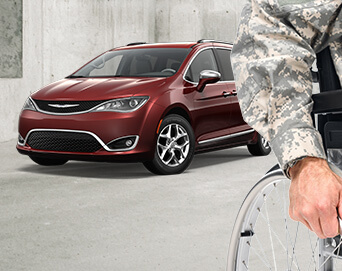 See our inventory of wheelchair vans and handicap vehicles for sale near you. United Access offers new and used wheelchair vans for sale, plus wheelchair lifts, scooter lifts, accessible seating and driving aids. Our certified handicap van dealerships can help you find the right solution to buy a wheelchair van. Search our inventory for wheelchair van pictures, prices and details. Our wheelchair accessible vehicles meet NHTSA automotive safety standards. We offer top quality wheelchair vans from trusted handicap vehicle companies including VMI, Bruno, Harmar lifts, BraunAbility and ElDorado. You can buy a wheelchair van with side-entry or rear-entry ramp, or a full-size handicap van with lift. Our certified mobility specialists can help you find converted wheelchair vans, trucks, SUVs and luxury wheelchair vans. Our company also has wheelchair van rentals available. • Top producer of accessible vans in 2008, 2009, and 2012. 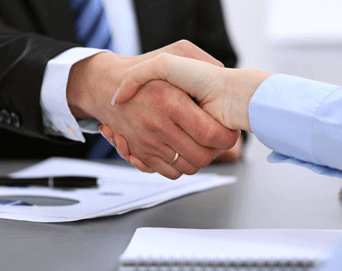 • Customer 1st Award by BraunAbility in 2010, 2012, and 2014. • The Platinum Award for Outstanding Achievement by Bruno in 2003–2006, 2009, 2010, and 2014. United Access dealers provide new and used wheelchair vans for sale near you, including commercial wheelchair vehicle sales, service and maintenance. Our automotive technicians are thoroughly familiar with the most popular brands of handicap vans and driving aids for the disabled. We can also customize a van conversion with handicap automotive controls and equipment. 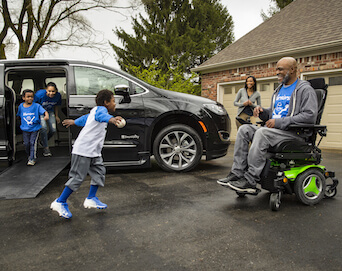 United Access wheelchair van dealerships are more than a place to find a wheelchair van, we’re a nearby mobility vehicle resource center for handicapped transportation solutions. Performance Mobility is now part of United Access. 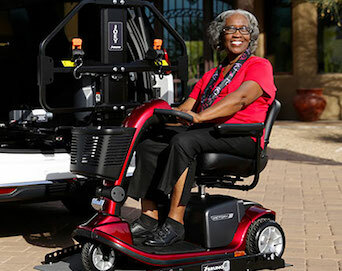 Dealer sales, service, financing and leasing is available for retail and commercial wheelchair vans in Texas, Oklahoma, Missouri, Arizona, Colorado, Oregon, Utah, New Mexico, Kansas, Tennessee, New York.